The Glasgow Works business plan sets out an ambitious agenda for Glasgow. There are major challenges ahead but the goal of full employment, reduced child poverty and a workforce enabled to contribute to its full potential for Glasgow is what they are working towards. 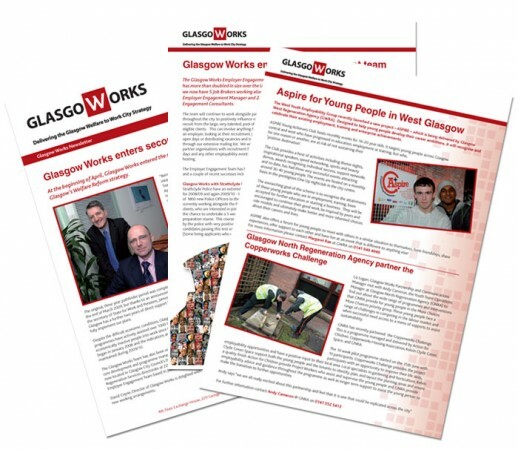 We’ve been working with Glasgow Works for a number of years and have gone from from designing traditional awareness materials, to creating sophisticated digital presentations for their team to ‘sell’ the good work that Glasgow Works are doing.